MINNEAPOLIS--(BUSINESS WIRE)--Nov. 14, 2018-- For the third time since J.D. Power initiated coverage of the mattress industry in 2014, Sleep Number (NASDAQ: SNBR) earned the #1 position in the annual J.D. Power Mattress Satisfaction Report. The Company received highest honors, including the best scores in the top six categories and ranking 27 points above the industry average. 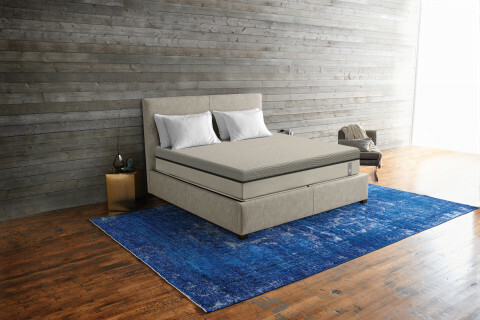 As the sleep innovation leader, Sleep Number has disrupted the commoditized mattress industry with Sleep Number 360® smart beds that deliver proven higher quality sleep. The 360® smart bed automatically adjusts the comfort of the bed to a person’s individual needs. The company’s proprietary SleepIQ® technology also provides sleepers with their SleepIQ® score every day along with their personal biometrics and insights, which helps them improve their sleep quality and overall wellness. The J.D. Power study asked customers to rank the top companies based on seven factors: support, durability, comfort, variety of features, value given the price paid, warranty, and contact with customer service. Sleep Number achieved an overall satisfaction index score of 867. The J.D. Power 2018 Mattress Satisfaction Report is based on responses from nearly 1,000 customers who purchased a mattress in the past 12 months.